Welcome to Ananda Sangha Chennai! 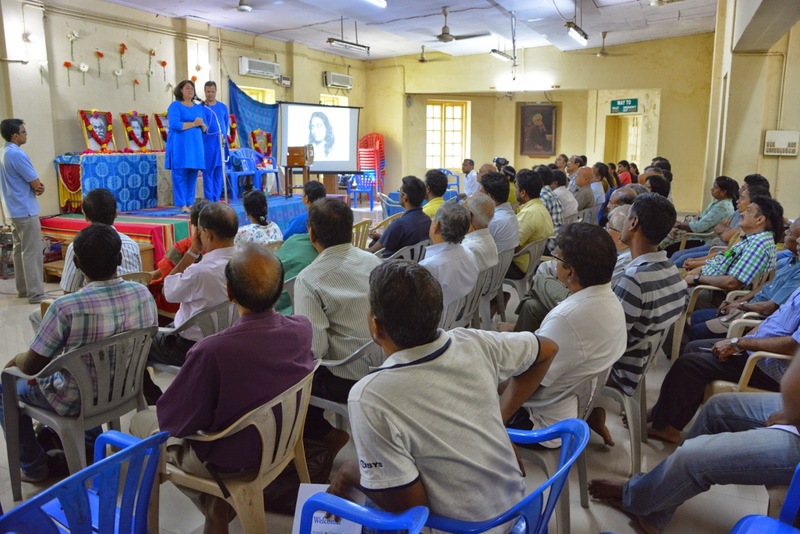 At Ananda Chennai, you can expand your sense of harmony, and gain an increased sense of God’s active presence in your life through ancient and effective techniques including meditation, Kriya Yoga, spiritually oriented Hatha Yoga, community, and divine friendship. We welcome you to visit the Ananda Meditation Centre in Chennai and explore all its offerings. All are welcome! Ananda Sangha, founded by Swami Kriyananda, is a worldwide spiritual movement. Even more, it is a way of life. Based on the teachings of the great Indian master Paramhansa Yogananda, it embraces every aspect of human endeavor, from the search for happiness in daily living to the ultimate bliss of Self-Realisation. In 2013, shortly before Swami Kriyanandaji left his body, he gave a lecture in Chennai at the Music Academy where 2000 people attended and 1000 had to be turned away at the doors. Swamiji then asked Nayaswamis Dharmarajan & Dharmini to come to Chennai and become the spiritual directors of a new Ananda yoga and meditation centre, which started in June of 2013. Ananda Chennai is one of many Ananda Yoga and Meditation centres established throughout India. The Path of Kriya Yoga Course is a series of classes that leads to initiation into Kriya Yoga as taught by Paramhansa Yogananda. The course includes: Learn to Meditate and Energise, Raja Yoga, The Path of Discipleship & The AUM Technique, and Kriya Yoga Preparation, after which one can apply to take initiation into Kriya Yoga—a meditation technique handed down by Babaji through our line of gurus. If a student is qualified, initiation into Kriya Yoga takes between nine and twelve months. 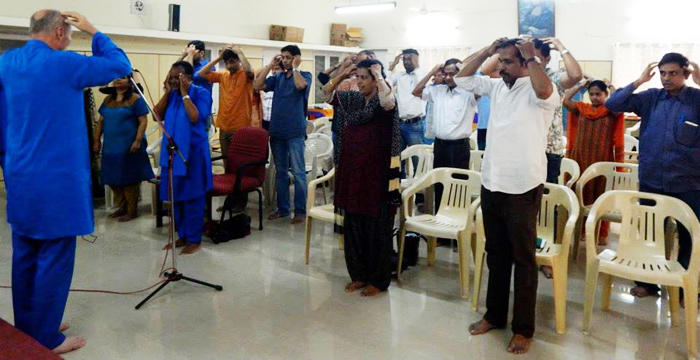 “How-to-Live” Classes are classes which focus on integrating the spiritual life with every day life. Based on Yoganandaji’s teachings these classes include topics on: karma & reincarnation, living in higher consciousness, healing, relationships, the yugas, Bhagavad Gita, Patanjali’s yoga sutras, music, and more. Check the calendar for the current class schedule. Sadhana is essential to our daily lives. In addition to spending private time in prayer and communion with God, attendance at group meditations is highly encouraged for the deeper magnetic effect it can have on each participant. Ananda Sangha Chennai offers group sadhana six days in a week. Satsang with high-minded people is very important. As Yogananda often reminded his disciples, “Environment is stronger than will.” The attunement one develops in the company of spiritual friends is a great benefit to all, adding inner strength and beauty to the fabric of everyone’s life. Join us for Sunday Satsangs at the Ananda Sangha Chennai Centre. All are welcome! Seva in the spirit of nishkam karma – non-attachment to the fruits of one’s labors – is an aspiration we strive each day to embrace. Healing Prayer Angels are members of Ananda Sangha Chennai who are part of a network of devotees who pray daily for those in need using the healing techniques of Paramhansa Yogananda. We have a healing prayer list that is continuously updated with prayer requests. Chanting and Singing are central to all our activities. At Ananda Sangha Chennai, each class and satsang begins with chanting. We also have a choir and offer kirtans. Chanting and listening to deeply inspirational music is one of our most joyful occupations. Yogananda wrote, “Chanting is half the battle.” Hundreds of musical selections, composed from higher consciousness by Yogananda and Kriyananda, are an indispensable aid to uplifting your spirit.